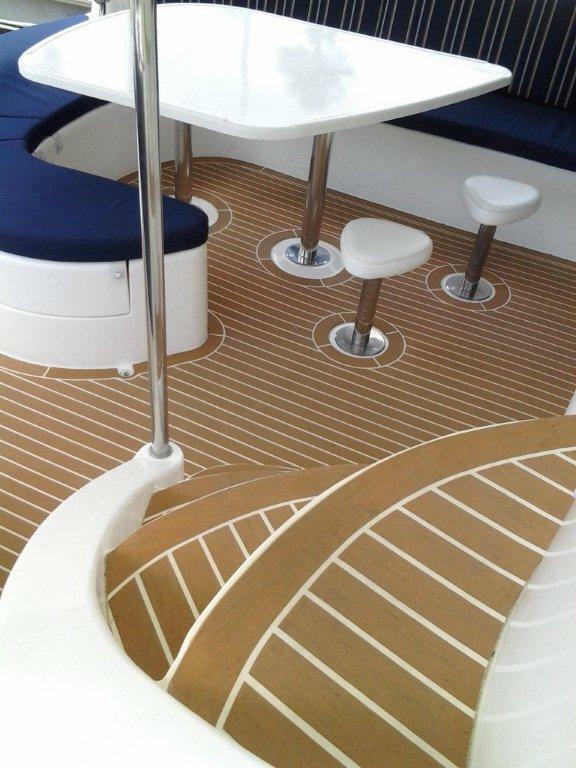 PlasDeck Synthetic Teak fabrication and installation. 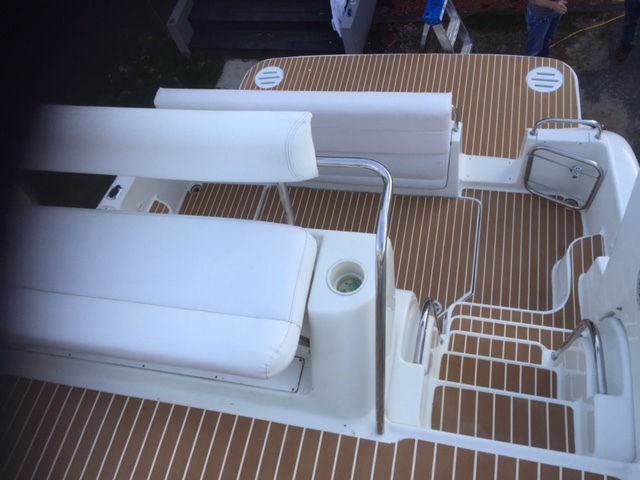 PlasDECK is a synthetic teak boat decking option that provides the elegant look of a teak deck without any of the time-consuming and costly maintenance associated with natural wood teak. PlasDECK has the appearance of real teak decking in its prime. 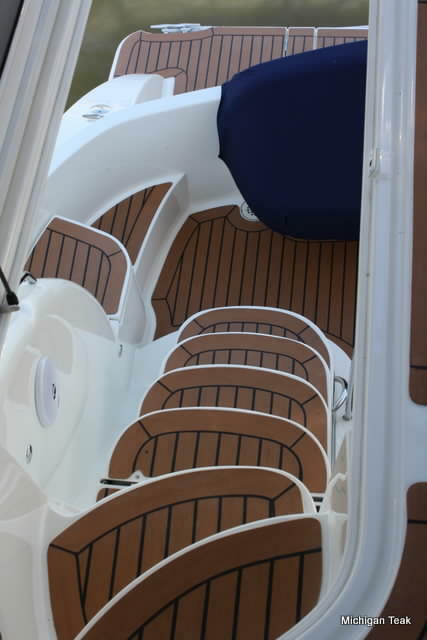 Never gray or faded, PlasDECK will always look like well-maintained teak but without the hassle. PlasDECK is specially formulated with ingredients that will prevent the material from drying out or cracking over time. It also has the highest possible UV protection to prevent fading, antifungal inhibitors, superior adhesion… and PlasDECK is proud to say that we offer the only synthetic teak decking option that’s made in the USA!